The SUNY Orange Arts and Communication Department sponsors a selection of performance ensembles for students and community members. These ensembles perform at venues both on- and off-campus, including the William and Helen Richards Theatre at Orange Hall (located on the College's Middletown campus) and the historic Paramount Theatre in Middletown. The SUNY Orange Choir and Madrigal Singers are under the direction of Danielle Cornacchio. These groups perform at various locations throughout Orange County during the year, and are a popular attraction during the holiday season. The group is a staple of the College's Holiday Open House at Morrison Hall each December. The choir also holds an annual holiday concert as well as a much-anticipated Mother's Day performance annually in Orange Hall Theatre. The groups also perform at many College events, including Commencement, Convocation, and the Scholarship and Awards Ceremony. The Madrigal Singers have also produced several holiday CDs that have been sold as fundraisers for the group. For more information on the Choir and Madrigal Singers, contact Danielle Cornacchio or the Arts and Communication Department. The College's Symphonic Band is under the direction of Joe Martellaro and is comprised of SUNY Orange students and members of the community. The band welcomes participation from those who wish to be part of a community ensemble of musicians who desire to perform and/or enrich their musical talents. The band performs and rehearses at Middletown's historic Paramount Theatre, located at 17 South St. The group generally offers two concerts per year at the Paramount. The band's music also graces the College's Commencement ceremony and has been a part of such special events at SUNY Orange's 60th Anniversary Celebration. For more information, or if you wish to join the band, please contact the Arts and Communication Department at (845) 341-4787. The SUNY Orange Orchestra is under the direction of Richard Simons, and is comprised of SUNY Orange students and members of the community. The Orchestra rehearses and performs at Middletown's historic Paramount Theatre, located at 17 South St. In addition to bringing quality orchestral programs to Orange County, the orchestra seeks to promote musical growth in younger musicians by sponsoring an annual Concerto/Aria contest in which winners are granted the opportunity to perform a musical or vocal solo during the orchestra's spring concert. This year's winners (Audrey Zubra and Ashley Heilweill) are shown at right. For more information, contact the Arts and Communication Department at (845) 341-4787. Interested performers wishing to join the orchestra may contact Richard Simons. The Jazz Ensemble is comprised of SUNY Orange students and is under the direction of renowned jazz guitarist James Emery. The group performs concerts each semester in the William and Helen Richards Theatre at Orange Hall and members of the ensemble regularly lend their musical talents to other events on campus. Ensemble members have performed during receptions for Cultural Affairs events and exhibits, as well as for an array of student activities. For more information, contact the Arts and Communication Department at (845) 341-4787. The Apprentice Players, SUNY Orange's student theatre ensemble, is headed by Max Schaefer. Each semester, the Apprentice Players perform one production in the College's Orange Hall Theatre. Past plays have included "Suburbia," "La Malinche," "Honk! Jr.," East Lynne" "Cherry Orchard," "Pinkalicious" and "Our Town." Typically, the productions consist of six performances over two weekends. Members of the Apprentice Players also perform with other groups throughout Orange County as a way to further their acting experience. For more information, contact the Arts and Communication Department at (845) 341-4787 or e-mail Max Schaefer. 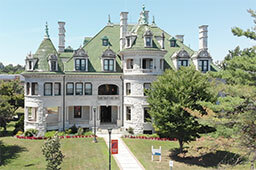 The Chamber Ensemble performs several times during the year, including a winter concert in conjunction with the annual SUNY Orange Holiday Open House hosted in the Morrison Hall mansion on the College's Middletown campus.